Earlier this month, Los Angeles-based LifeCrowd (www.lifecrowd.com) unveiled its service to help connect people with real life activities. The firm is initially focusing on the Los Angeles market, and connecting people with fun, interesting classes, activities, and more in the local area. The company was founded by Bong Koh, a former EIR at Prism VentureWorks and venture capitalist at Advanced Technology Ventures; he also co-founded ibeatyou. We caught up with Bong to hear more about his new startup. Bong Koh: We are creating a social marketplace for activities. How we are doing this, is we are connecting users with real, local experts. The use case people seen to understand, is you might be hanging out with a few friends, and wondering what to do this upcoming weekend. You can use LifeCrowd to find new and interesting activities, as opposed to just the normal bar scene. Those activities might be wine tasting, open water kayaking, kiteboarding, a session I'm leading on counting cards, and martial arts. We break it down by a number of vertical categories, including Indulgent--all about food, wine, and alcohol; Active--outdoor athletic endeavors; and Creative, which is arts and crafts. Finally, we have an Eclectic category, which are interesting activities which don't fit into any of those other buckets. Our emphasis is on social and group activities, and we really want to emphasize the social dynamic, and going out with people you know, and meeting new people, as well. From the ground up, we're focused on both social and fun, and our brand attributes are aspirational, cultured, and fun. In terms of the types of experts we are working with, we're fortunate that, even though we just launched, we've got a queue of hundreds of experts who want to work with us. There are specific types of experts we are bringing in, and we're filtering them out pretty rigorously. We want to create the right mix of the types of activities, price points, and make sure we have high quality content and high quality activities. We've also got a very heavy emphasis on online to offline integration. We're taking our cue from other companies like Yelp, and their Elite Yelpers program. We've got Elite crowders, a few people we have representing us and being our brand ambassadors. We have a number of experts signed up, and are starting to get users on board and have just starting having transactions and dollars flowing through our system. What's the story on how you started the company? Bong Koh: We started at the end of April. We've only been working on the site for May, June, July, and August, and it's a brand new endeavor for us. I literally saw the real pain point when I moved to Los Angeles a few years ago. I had a number of things I wanted to do here, one of which was I wanted to learn how to surf. But, I found out in reality, it's really tough to find classes or lessons, for a variety of issues. There's the problem with finding the right instructor, finding other friends who wanted to learn surfing with me, finding something that would fit my schedule, getting information about pricing, all of those things. It's a tough problem to solve, that experience of trying to find and discover new activities, especially in a market like Los Angeles and Southern California where there is so much to do outdoors, and there are so many types of facilities. Enter the light bulb, which was that this was a real opportunity to create a new platform, which can facilitate connecting experts with users. Bong Koh: My other co-founders include a guy I've known for a number of years--my younger brother, Bong Doh, who was one of the first engineers at VideoEgg up in the bay area. He built their entire publishing and analytics platform, and spent more than four years there before he came to join us to start this. 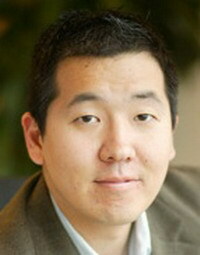 Andy Wen was the CTO of Christianity.com, and the CTO of early online education firm VCampus, and he also ran the product and web security for eTrade, as well as started a company called Lighthound deals, like a Groupon. Down here, we have Allyson Pizula, who was at MySpace, and was there for a number of years before going to Adconion. It's a pretty credible team and we're starting to staff up on the product and development side. Plus, just last week we closed our first round of funding, worth $2M, including Peter Lee from Baroda Ventures, Paul Martino at Bullpen Capital--he was the founder of Aggregate Knowledge and Tribe, and also seeded Zynga--and Prism Ventureworks. I was also the EIR at Prism, which contributed significantly. We also have a number of other guys who are involved who I am pretty psyched about. Tony Adam is an advisor, he was formerly at MySpace. Also, we've got a few entrepreneurs, including Kevin Chou, who is at Kabam up north, and has raised $150M in funding, and Alex Bard, who was at Goowy, which he sold to AOL. Another guy who is helping is Richard Yen, who is at Saban Capital, and has joined as an advisor. We've been fortune to pull together a pretty good set of people, relatively quicly. We're excited about launching and getting funding, and trying to get traction in Los Angeles. That's interesting that you are starting this with your brother, did you ever think you'd start a company with him? Bong Koh: Actually, this is not the first time we've worked together. At my first startup out of New York, Mobilocity, he was an intern for me years ago. This is actually the third time we've worked together. What is it about your relationship which has made that work? Bong Koh: I think what make it work, is we are very different. Even though we are both startup guys, and I've got an inner geek, and started developing and coding myself, at this point in the relationship, both from a functional and personality point of view we actually complement each other very well. The example, is as CEO I am obviously much more externally focused, on strategy, fundraising, and business side issues. My brother is in charge of the development team, and is very focused on development and coding. I think from a skill set perspective it's very complimentary. Also, form a personality perspective, I tend to be more outgoing and he tends to be more contemplative and reflective, which is actually a good fit. In general, having been at startups and obviously as an investor, I like to surround a company with passionate, smart people, but I also like to bring in people who complement and create diversity within the workplace. And here it's not just the two of us, it's also Andy and Allyson, we all kind of balance each other out. Was it useful to you having been in venture capital to be able to get funding quickly? Bong Koh: The experience there has all been positive. In terms of understanding, at least initially, what potential investors look for it obviously gave me a huge advantage. It gives you lots of insight into the dynamics of how venture funds work. One thing I first time entrepreneurs don't place enough emphasis on is relationship building with potential investors, and doing a deep dive the other way. You, as an entrepreneur, are expected to go though due diligence. But, lots of entrepreneurs don't do the opposite, looking at that potential investors as well. I've seen lots of startups with great investors and great relationships that work out, but in reality, most startups run into issues at some point, and you need your investors support and vision to help guide you to emerge from whatever hiccup or the obstacle is. For us, every one of our investors and advisors are someone I or the team has known for at least a few years. Obviously, Prism is a great example. I have insight into the partnership, worked with Jim for a number of years, sat on boards together, and know how he treat entrepreneurs. That's exactly the kind of guy I want on my board, who has an even keel, a great track record of being smart, knows when to push you, but also knows when to defer to the entrepreneur as the steward of the vision and strategy. With Peter (at Baroda) it's the same thing, we have had a relationship for seven or eight years, and he was actually my engagement manager at McKinsey when I was a summer associate. I managed a few years later to have him join me at Prism. Obviously, we've got a strong relationship. The same with Paul Martino at Bullpen. It actually happens that we both are from outside Philadelphia, we went to the same public high school and have known each other for years and years. It's important to have investors and advisors you know and who you can go to, in good times and bad. It's easy to call up that investor when things are going well and you're excited, but it's much tougher, but much more valuable to say--hey, we screwed up, we need some help, help me -- without worrying they'll get upset or shitcan us. What's the next big milestone for you? Bong Koh: We're now in user acquisition and ramp up mode. I think that given we're a brand new Internet service, there's going to be a lot of integration and learning that goes into refining the product and offering. We want to get feedback from everyone, potential Elite Crowders, experts, and others to hear what they think of our platform, so that it is a win-win for both users as well as experts. Our philosophy, is we have an opportunity to define a new Internet platform, so we're being very deliberate on how we approach the market, product, and funding. Fortunately, we've raised a couple of million bucks and have a good chunk of runway to execute on our initial vision. Near term, we want to nail Los Angeles, and make sure we understand what the key drivers are, how to add value on both sides of the marketplace, and very slowly geographically open it up. Next, we're going to expand to Orange County, San Diego, and then potentially the Bay Area. I think we have one shot to build a community the right way, out of the gate, so we're taking the time and being deliberate in terms of making sure we're crafting the right community of experts, content, curation, and filtering.